We are one of the leading panel beaters and paint repairs centres in the outer Melbourne area. We ensure that all panel repairs performed on your vehicle are of the highest possible standard. As far as paint repairs are concerned, we use only premium quality paints. When it comes to driving, accidents are sometimes unavoidable. Of course, ensuring your car gets back on the road as quickly as possible is your primary concern… which is where we come in. As one of the leading Mordialloc panel beaters and paint repair centres in the outer Melbourne area, you can rest assured in the knowledge that we only hire the most experienced industry professionals, aiming to give you the best possible results. We specialise in vehicle body repairs, performing the correct necessary repairs to the main and sub panels of any vehicle, priding ourselves on being one of, if not the best panel beaters in Melbourne, servicing Bayside, Mordialloc and other surrounding areas. • We ensure that all panel repairs performed on your vehicle are of the highest possible standard. As far as paint repairs are concerned, we use only premium quality paints. • We use state-of-the-art equipment and only deploy modern repair technologies. Our methods ensure that we restore your car as per the manufacturer’s specification, right back to its former glory. • No repairs are too big or too small. From restoring complex structures to performing difficult bodywork, and replacing damaged auto-electric components, we pride ourselves on being the best panel beaters in Melbourne. • Our panel beaters in Bayside, Mordialloc and other surrounding suburbs are true experts in this field with decades of experience. 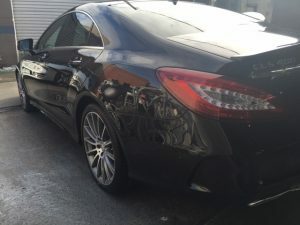 • We carry out major bodywork repairs and take care of minor cosmetic damage, to deliver perfection in the aesthetics of your newly restored car. • We use only the highest standard of technology and equipment to provide you with the most expertly complete aesthetics. You ask, and we deliver. • There’s no waiting around when it comes to our panel beater service, so expect fast and affordable quotes. • We offer a cheap Melbourne panel beater service with no compromises on quality or results. • We only use genuine car body parts on your vehicle, thereby ensuring the maintenance of your manufacturer warranty. • We aim to provide a high quality and friendly customer service when it comes to ensuring our customers receive the best possible service. 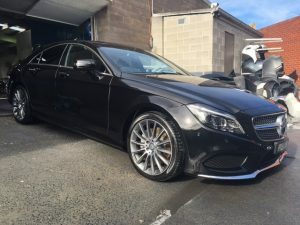 • Convenience is one of our top priorities, and our Mordialloc panel beaters will collect your car from any accident location, delivering it safely to our workshop, as well as delivering your car back to your requested location. Contact Braeside Smash Repairs and get our leading panel beaters in Melbourne on the case to restore your vehicle to its factory state. Braeside Smash Repairs is one of the best accident repair centres in Victoria. BSR specialises in and offers major services in car repairs, smash repairs, and crash repairs. With an exceptionally high standard of finish, you'll be pleased you put your trust in Braeside Smash Repairs.